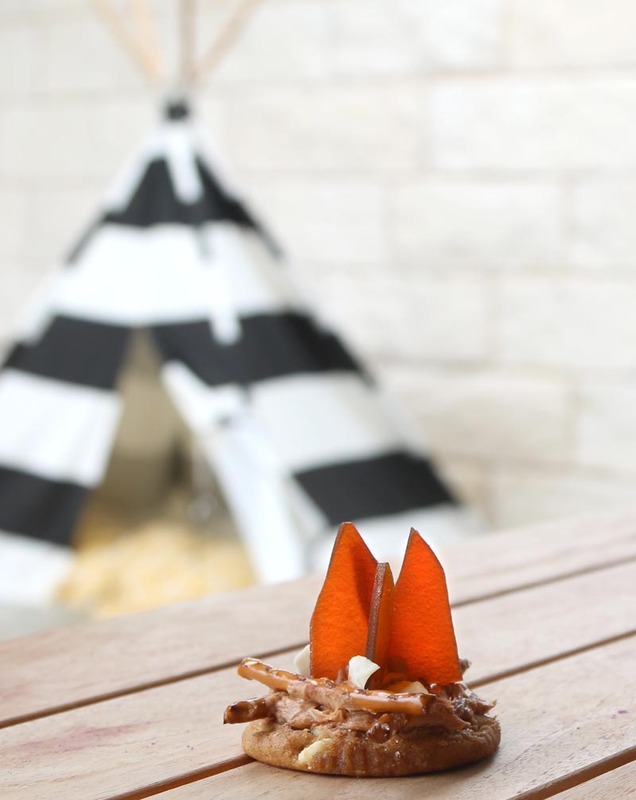 Sometimes everything comes together for the perfect camping trip filled with great food, family, and adventure. Other times it rains for a week straight, plans change, everyone is stuck indoors and you need to get creative before they lose their ever-lovin’ minds. 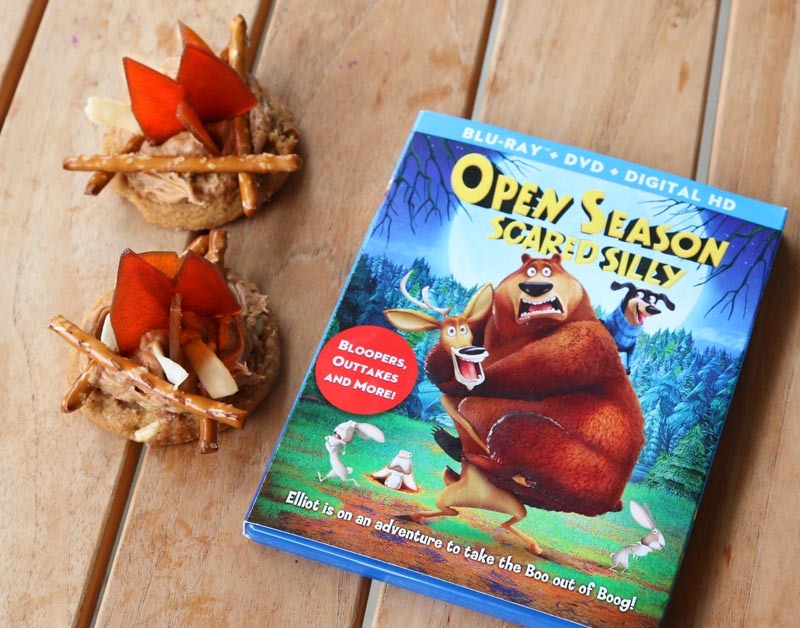 This week was the second type of week so we got together with our partners at Sony Pictures Home Entertainment to create these fun (and so easy) “How to Build A Campfire” Cookies to go with a cozy OPEN SEASON: SCARED SILLY movie night. 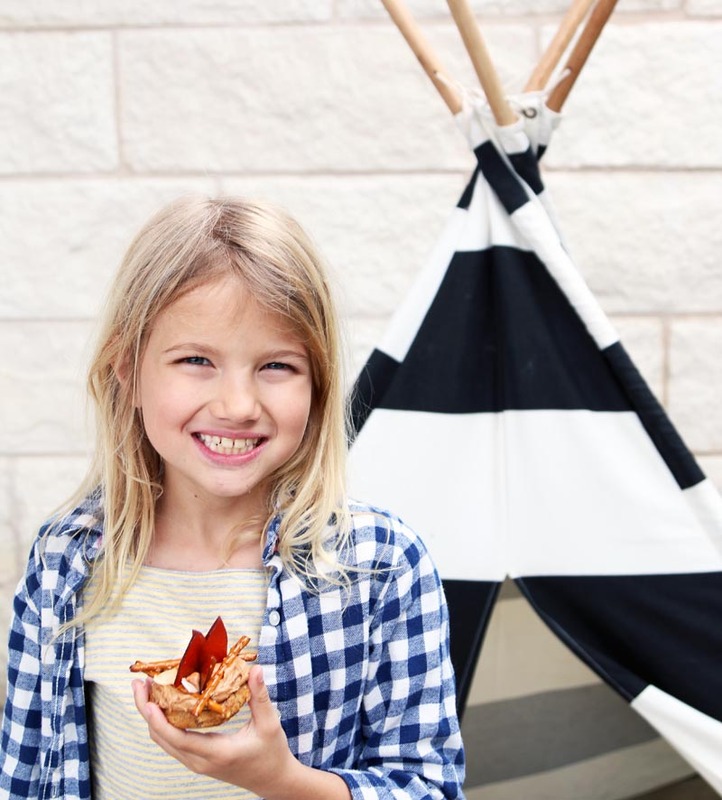 The best part is that these cookies actually show you how to build a real campfire! 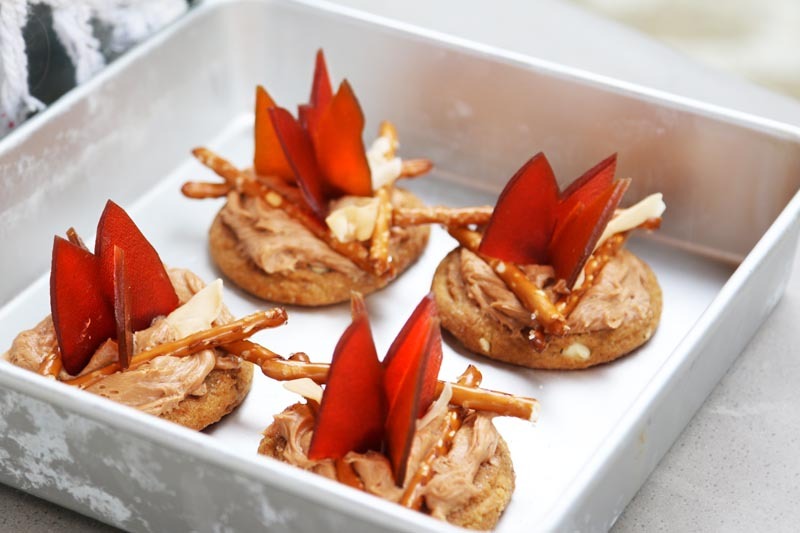 The other best part is that these cookies are ready to assemble with just a few ingredients from the grocery store. Just keeping’ it real folks. Read on for the step-by-step cookie tutorial. And by step-by-step, I mean 3 steps. 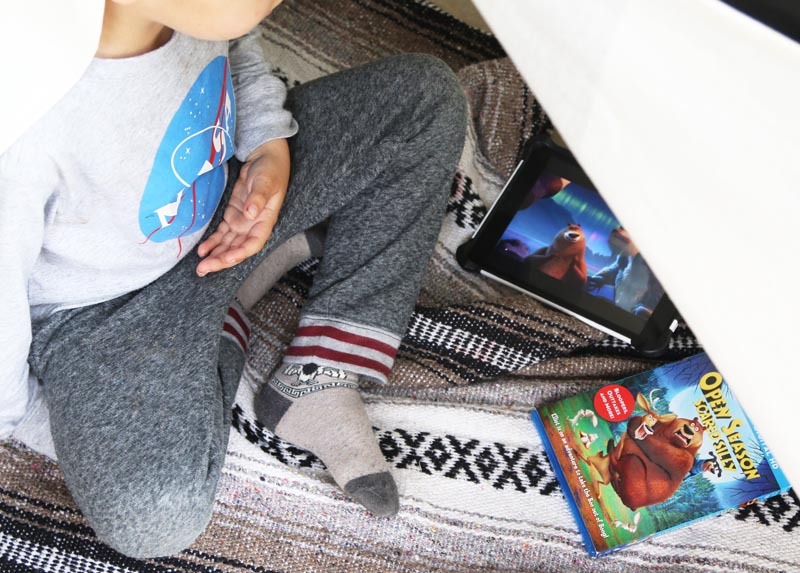 3 steps that a 5 year old can do. 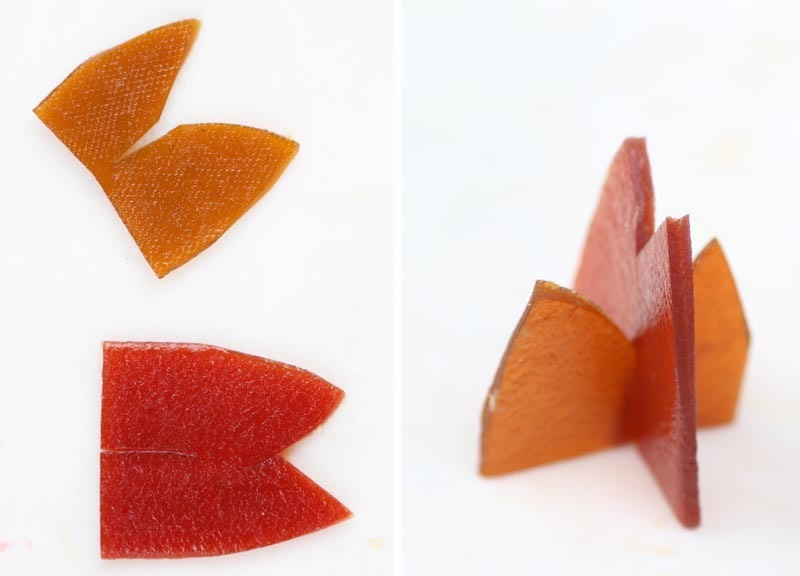 Use scissors to cut the fruit leather into flames and add slits so that they will intersect to form a standing fire. 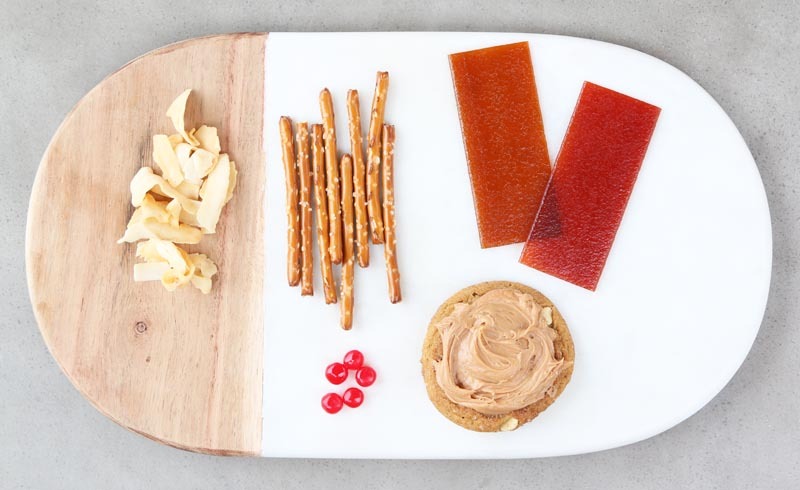 Make 1 for each cookie and set aside. 1. 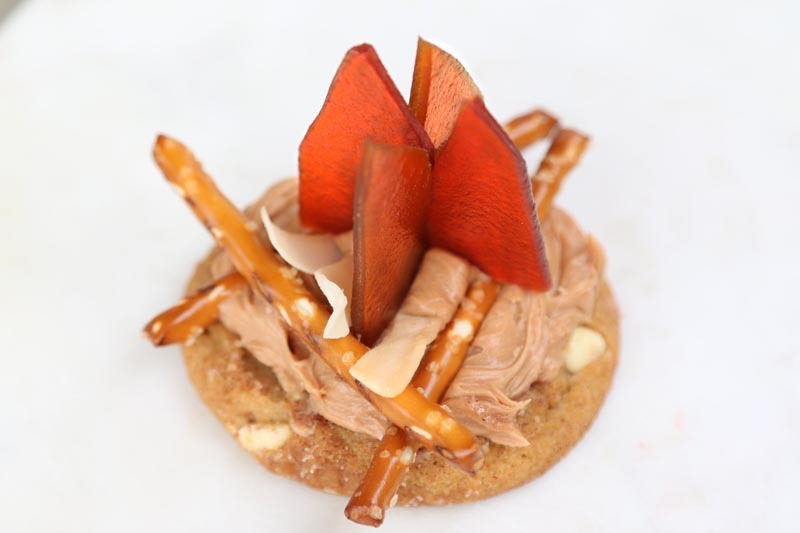 Cross two pretzels (branches) on top of an iced cookie. 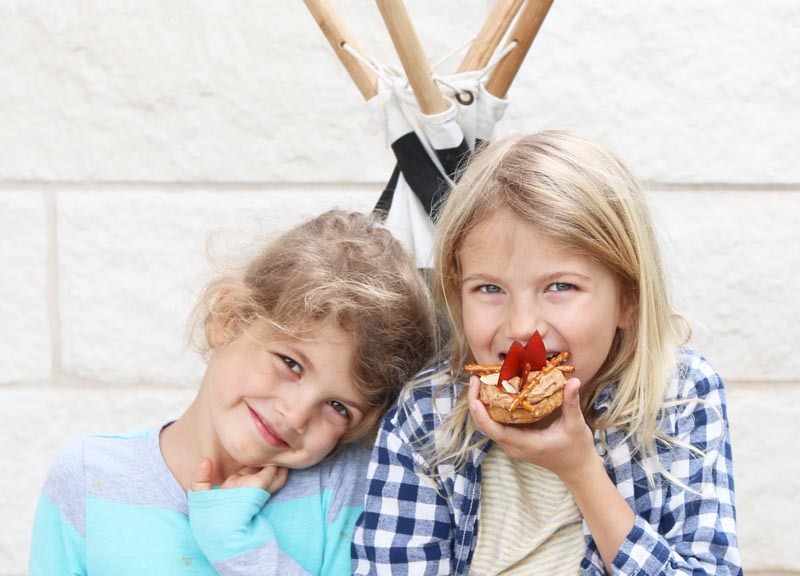 Lay a third pretzel (branch) on top of the two. 3. 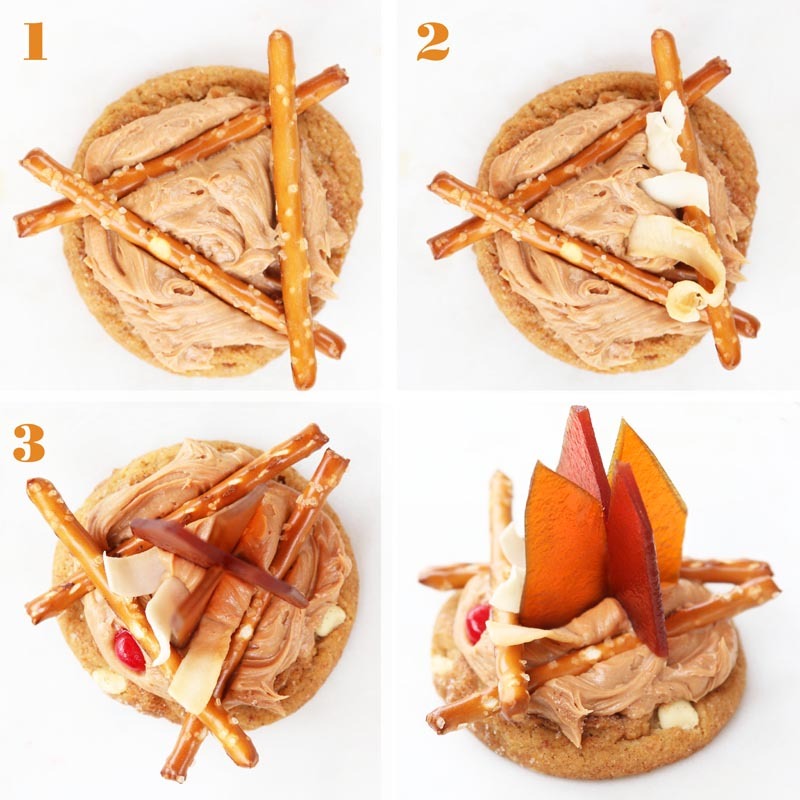 From the side, slide the cinnamon candy (match) under the highest pretzel (branch.) The flame will light the twigs which will ignite the larger branches. 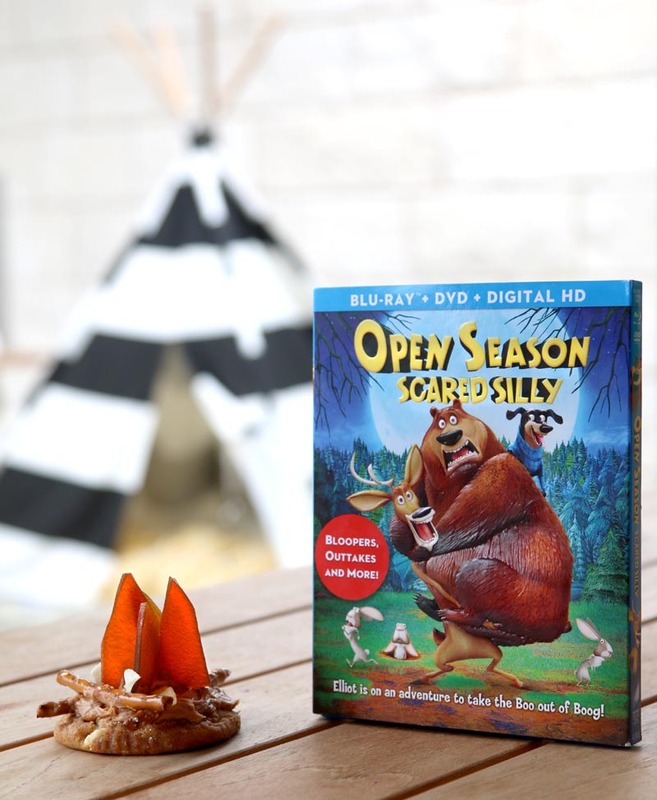 Elliot, Boog and all your favorite woodland creatures are back in a brand new, comedy adventure, OPEN SEASON: SCARED SILLY. When a case of mistaken identity leads both humans and animals to believe there is a monstrous werewolf on the prowl in Timberline National Forest, former hunter Shaw seizes on the opportunity to re-open open season. With Shaw on the loose and all the animals at risk, it’s now up to Boog, Elliot, and Mr. Weenie to face their fears, track down the elusive werewolf, and get open season closed permanently. These look amazing, and so delicious that I’d have serious self-control problems around them.